Mrs. Ruby Lee McGuirt, age 93, of McColl, SC ascended to her heavenly home Friday, March 30, 2018 in Port Lucie, FL. Ruby was born on December 21, 1924 in McColl, SC. She was preceded by her husband Rufus S. McGuirt. Survivors include : her son, Robert L. McGuirt & wife Karen; her daughter, Frances McGuirt Beedy; 5 grandchildren, 14 great-grandchildren, & 3 great great-grandchildren with another one on the way! Before being diagnosed with dementia and moving to Florida, where her children reside, Ruby was an active member of the McColl First Presbyterian Church. She volunteered for “Meals on Wheels” and enjoyed visiting and talking with the shut-ins. She would take friends and family for doctor appointments and take them shopping and helping them with their errands. She was a sociable person and loved people. Ruby enjoyed quilting and while in Florida was in a crochet group called “Lovecovers” where she would make hats and blankets for cancer patients going through chemotherapy. Ruby had a sense of humor that was like no other. She was funny and witted. She always had a come back remark or she would turn the tables by asking you a question. She was referred to by many as being a “pistol”. 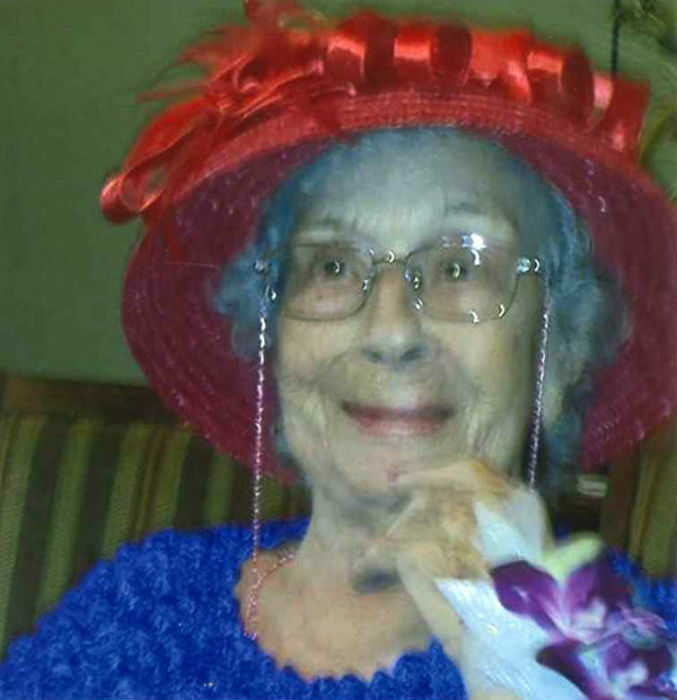 The Assisted Living Facility Ruby was recently residing said Mom was one of a kind and she was loved by all. She was a character (pistol) and she made everyone smile. She was strong, she was stubborn. She taught her family to believe in God, to know right from wrong, to be kind, to respect others and the list goes on. Ruby will be missed by all those who knew her! A funeral service will be held at 2:00 PM on Friday, April 6, 2018 at McColl First Presbyterian Church officiated by Rev. Ray Howe. Burial will follow in Tatum Cemetery. Visitation will be held at the church beginning at 1:00 PM prior to the service. Memorials may be made to: McColl First Presbyterian Church, PO Box 351, McColl, SC 29570; or Hospice of the Treasure Coast, 1201 SE Indian Street, Stuart, FL 34997. Rogers Funeral Home is serving the family.